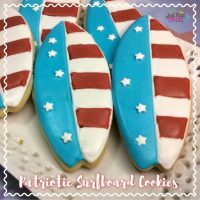 Surfboard Cookie Recipe In A Patriotic Design | Be Plum Crazy! Cowabunga’ dude! 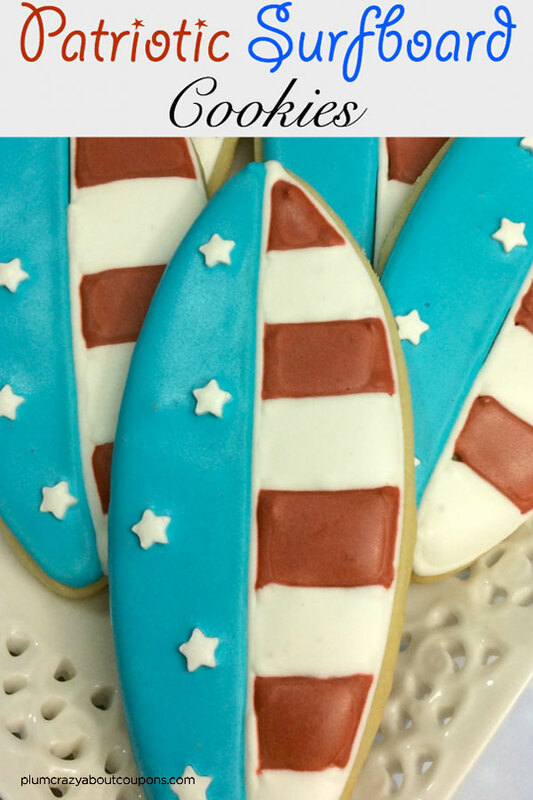 These adorable surfboard cookies are a great dessert for 4th of July or any summer time event. 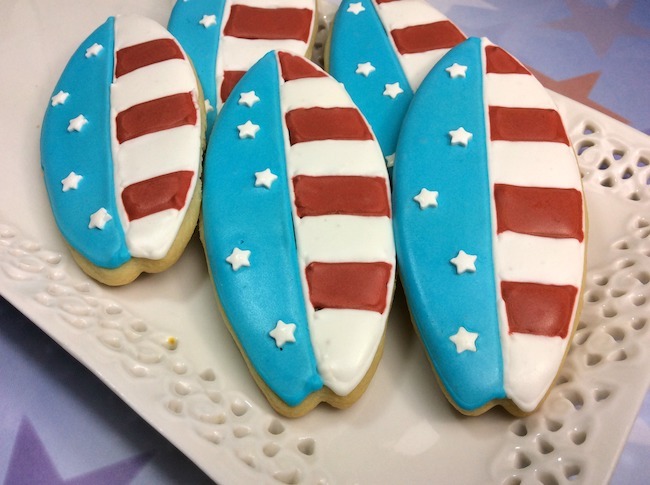 Although I made these with a July4th celebration in mind, simply change the colors and change out the stars for something else and they would be a great addition to any surfer dude or dudette’s party. When the surf is up and you are ready to party and need to bring a dish – this is the dish to bring! 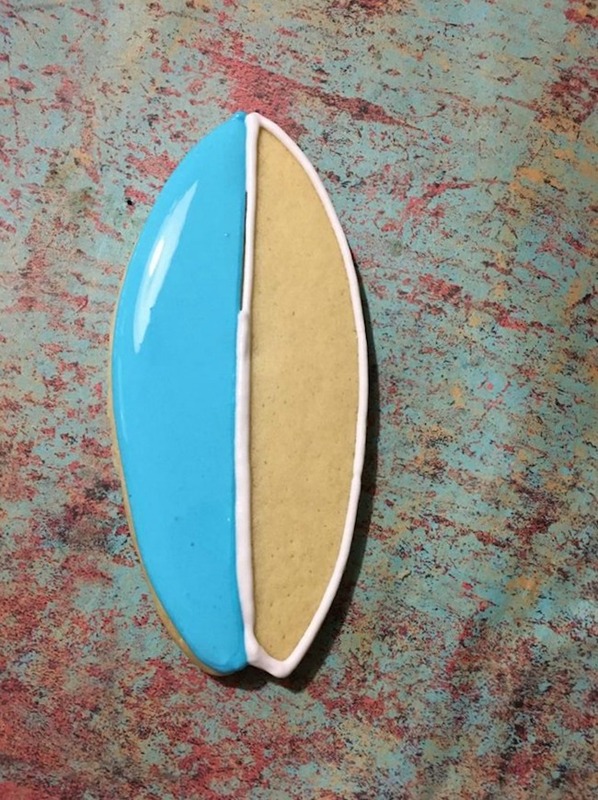 Surfboard cookies are easier to make than you think and will be sure to impress with their beautiful design accents. -Add the vanilla. and continue mixing. 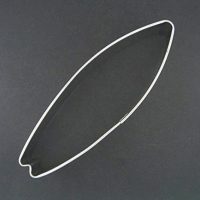 -Using the remaining icing in the bowls, add 2 TBSP water into the bowls to thin out the icing. -Using the white bag, pipe a line around the other half. 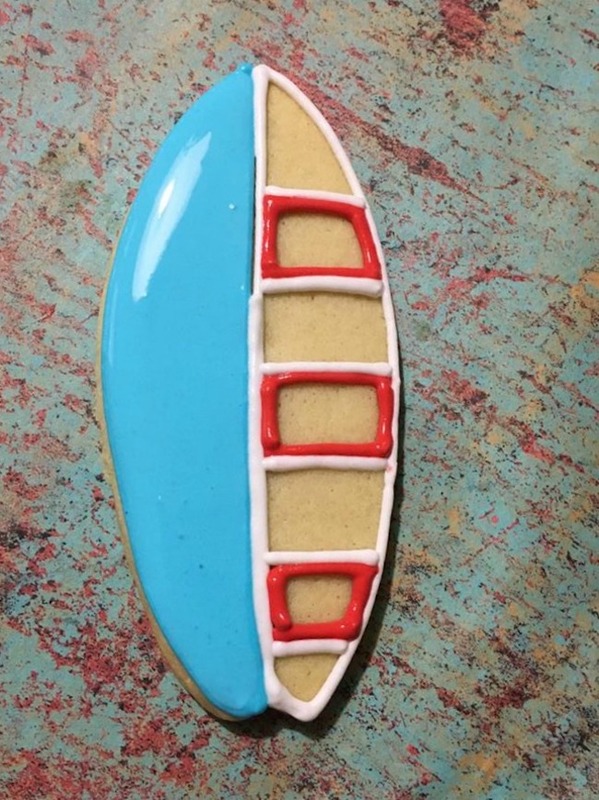 -Using the thinned blue icing, fill in the blue side of the cookie with the blue icing. -Pipe white lines around the red lines. 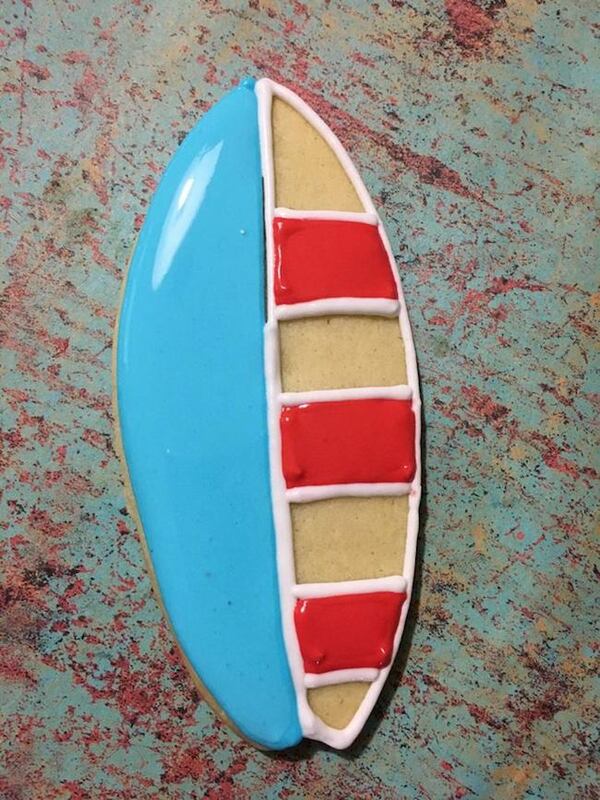 -Use the thinned red icing to fill in the red lines. 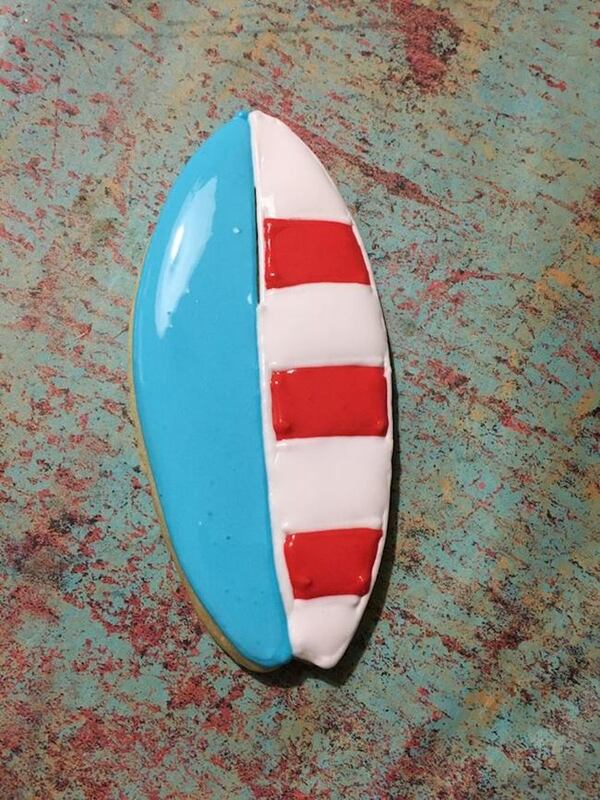 -Using the white thinned icing, fill in the spots for the white. 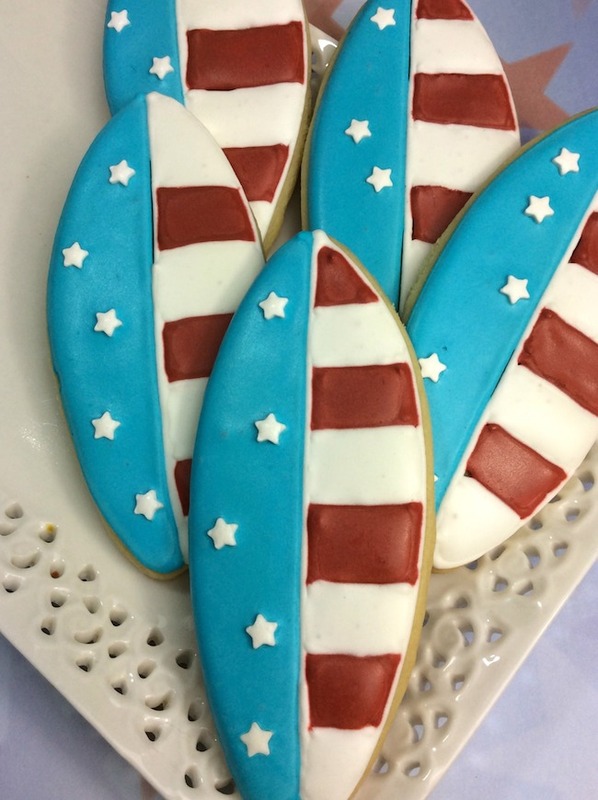 -Take a few of the white star sprinkles and place them on the blue side. 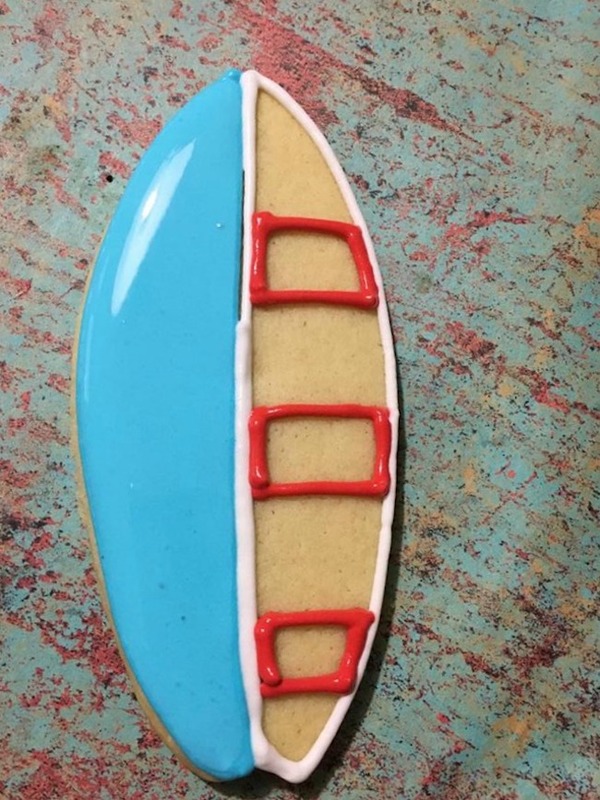 -Let cookies dry for 2 hours before enjoying! 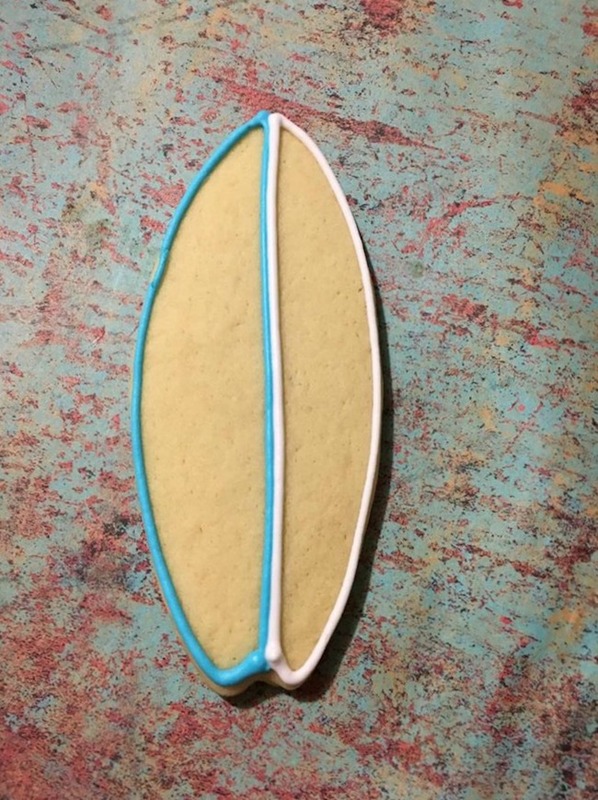 Surfboard cookies for those summer celebrations. Put flour out on the cutting board, rub flour on the rolling pin, and work some flour into the batter. Using the remaining icing in the bowls, add 2 tablespoons water into the bowls to thin out the icing. Using the white bag, pipe a line around the other half. 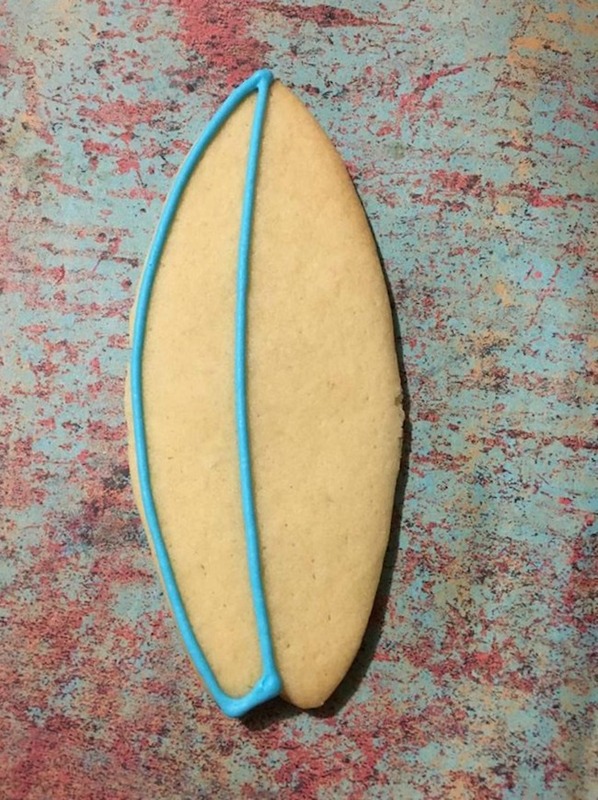 Using the thinned blue icing, fill in the blue side of the cookie with the blue icing.